We're all aware that Google collects a notable portion of our data. Thanks to the increasing awareness, Google has added a number of privacy controls to limit data collection. But Google doesn't just collect personal data for no reason — many of your favorite apps will use this info to improve their services and add new features. Your interaction with Google services (such as their apps) reveals a lot about who you are. This information is useful to Google, as many of their customers are explicitly seeking the type of service that they could only get if the service provider knew a lot about them. By applying machine learning to our data, Google is able to offer a unique experience that addresses our individual needs. Improved search suggestions (from search history and Chrome history). Autocompleted searches (from search history). Search for your private information (from Google services data such as Maps, Calendar, and Contacts). Location-based search results (from your phone's location data). Targeted ads (from search history and Chrome history). Personalized video results (from YouTube watch history). All of the principles mentioned in the Google Search section above apply to Google Assistant. However, Google Assistant's benefits are specifically tied to how deeply connected you are in Google's ecosystem and how much access Google Assistant has to this data. Here are some examples of features you gain when Google Assistant can review your information. Unlock your phone with "Hey Google" on Android (from personal voice data). Read and create calendar events with commands like "Hey Google, add Breaking Bad to my calendar on Tuesday at 8" (from Google Calendar). Create location-based reminders by saying "Hey Google, remind me to pick up milk at the grocery store" (from phone's location data and Google Calendar). Get local weather forecasts with "Hey Google, what's today's high?" (from phone's location data). Make phone calls with "Hey Google, call Sally" (from phone call permissions). Play music from various services with "Hey Google, play classical music" (from streaming music service data). 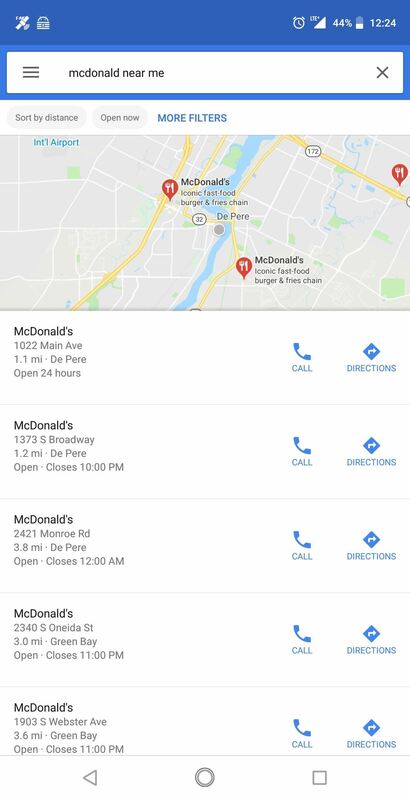 Navigate to a location with "Hey Google, directions to the nearest McDonald's" (from phone's location data and Google Maps). As an email client, Gmail depends on data collection to improve its ability to filter out unwanted mail and surface emails you care about first. This is accomplished using automated scanners which provide extra benefits for those willing to enable them. Additionally, Gmail benefits from tight integration with other Google apps that allow it to do more with your data. Spam and malware protection (from automated email scanners). Priority Inbox (from automated email scanners). Automatically-generated responses to emails, also known as Smart Reply (from automated email scanners). Send and receive money without fees to other US-based email addresses (using Google Pay and data from Google Contacts). Autofill contacts' email addresses (using data from Google Contacts). If you use Google Chrome as your browser on desktop and/or mobile, you stand to gain a lot by giving Google various bits of data. Chrome itself is responsible for recording much of Google's data on you, including search history and the sites you visit. In addition, Chrome can use data collected from other Google services to provide benefits. Autofill passwords (Chrome saves passwords as you input them into sites). Autofill addresses and payment cards (from Google Pay and text typed into the browser). Local search result (using data from GPS, Wi-Fi, and/or cellular data). Safe browsing (by checking the websites you visit). Synced browsing history and bookmarks (from Google account login information). Faster bug fixes (from usage statistics that contain anonymous information about your device when a crash occurs or bug is detected). Personalized ads (from browsing history and search history). Gboard, Google's virtual keyboard, collects a host of data from its users. Essentially, all text inputted into the keyboard is collected and scanned by Google. While you are limited in your ability to control how much text entry data is collected by Google, you do gain a number of feature thanks to this scanning. Additionally, you can give Gboard even more access for a more personalized experience. Personalized next-word predictions (based on text entry data). Personalized suggestions (based on SMS messages & other Google services data). Contact name suggestions (based on data from Google Contacts). Personalized in-Gboard search results (based on same data Google Search uses). 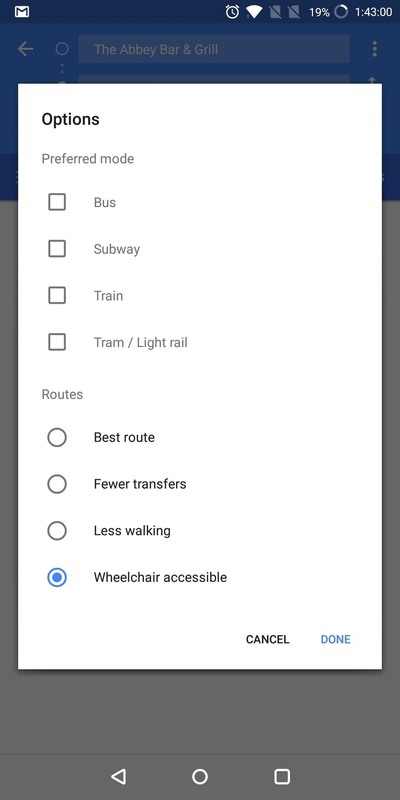 Local search results in Gboard search (based on location data). Improved speech recognition (based on speech-to-text data from you and other Gboard users). Google Photos' main point of existing is to feed data to Google's object recognition AI. Every time you take a picture and let it upload to Google Photos, Google's Cloud Vision API is trained a bit further. This might sound a bit creepy, but the analysis is done anonymously and you get some great benefits out of the deal. Free high-quality cloud storage for your photos (in exchange for letting Google analyze them). Search for people, places, and things in any of your photos (byproduct of letting Google analyze your pictures — it knows what it "sees"). Photos are automatically sorted into folders based on the people Google Photos recognizes (from Google's Cloud Vision analysis). Free scanning of old physical copies of photos (in exchange for letting Google analyze them). Share photos with the people who are in them (from the facial recognition mentioned above, plus access to your contacts). As the second most popular Google-branded app, Google Maps is dependent on your data for its functionality. It is only with the GPS sensor built-in your mobile device that Maps is able to offer real-time navigation. However, Google Maps offers much more than turn-by-turn navigation — if you allow Maps to learn more about you, it can become the only app you need for traveling. Turn-by-turn directions for a host of various travel methods and accommodations (using location data). Real-time traffic information and accurate commute times (using location data from all Google Maps users). Live and future wait times for businesses (using location data from all Google Maps users). Parked car location (using your location data). Local business recommendations (using your location data). Share location with friends (using your location data). Automatically detect home and workplace addresses for easier navigation (using your location history). Search for contacts' addresses (using data from Google Contacts). As YouTube slowly begins its takeover of traditional cable, its success is dependent on its ability to recommend videos, further tapping into the metaphorical "rabbit hole." These recommendations require your data to help YouTube learn who you are. While YouTube's benefits are minimal in comparison to other Google services, the data it collects does assist other apps such as Google Search. Video recommendations (from search history and watch history). Easy sharing of videos (from Google Contacts data). Personalized ads (from search history and watch history). There are many benefits to allowing Google access to you data — all of the features above would not possible without it. While it's safer to lock down your data, Google does collect its with your privacy in mind. Data is transferred securely and anonymously, and with all this information, Google is able to offer a large number of apps that are constantly improving. What do you think about Google accessing your data? Let us know in the comment below.